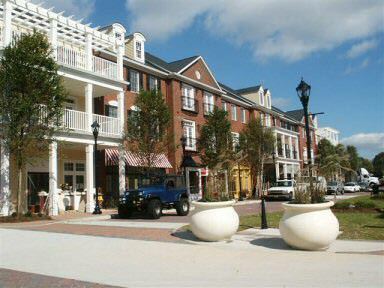 The Market Village in the heart of the city of Smyrna, opened in October of 2002 and is unmatched in appeal and village atmosphere. Pedestrian oriented with an emphasis on streetscapes, landscaping and openness, the Market Village features 16 townhomes over 40,000 square feet of retail space, 18,000 square feet of office space and seven restaurants. This complementing phase of downtown development, handled by the project team of GKJ Development, LLC and John Wieland Homes and Neighborhoods, is a spectacular example of the mix of gracious living and work. This new addition enhances an already amazingly beautiful downtown that features a City Library, Community Center and City Hall, designed by Sizemore Floyd Architects, awarded the Urban Land Instituteâ€™s Award of Excellence.